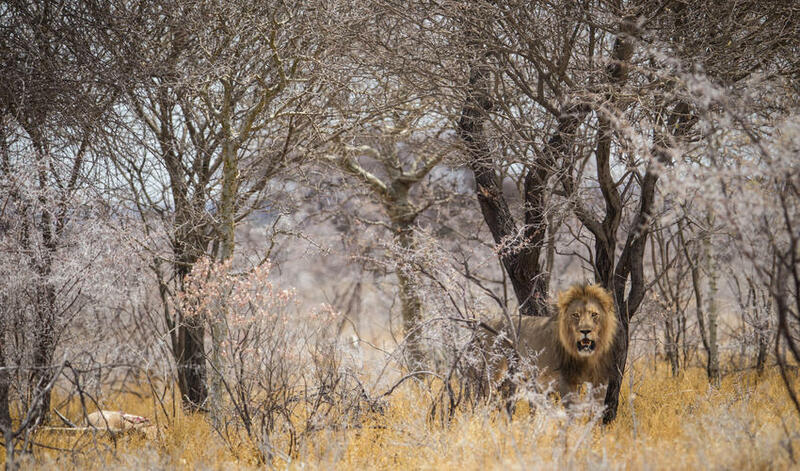 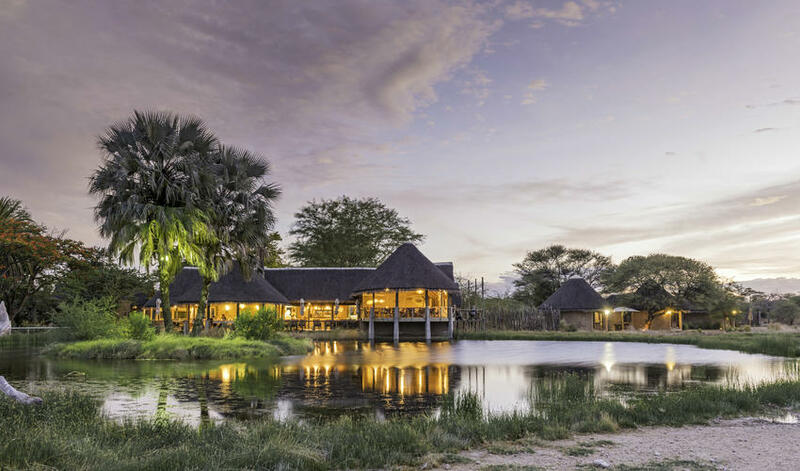 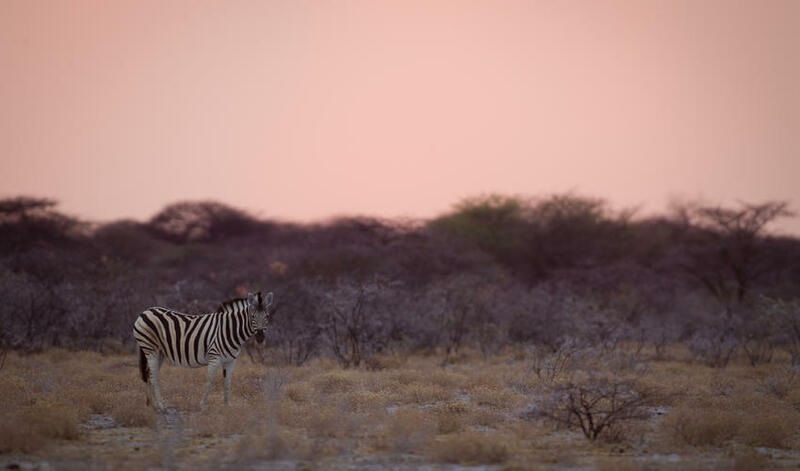 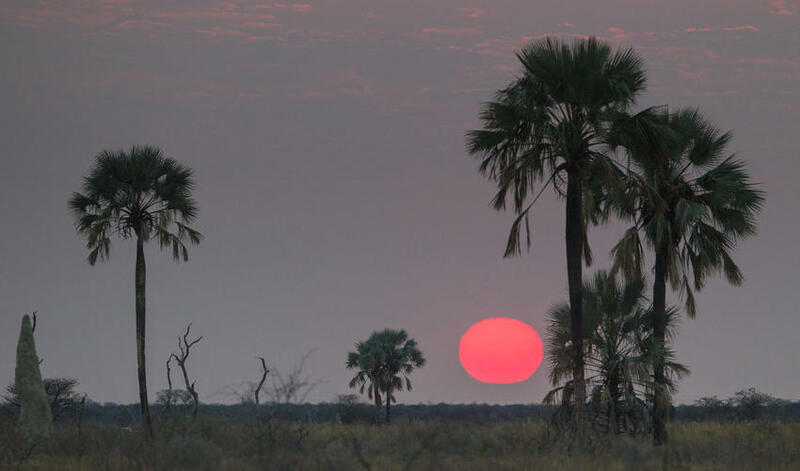 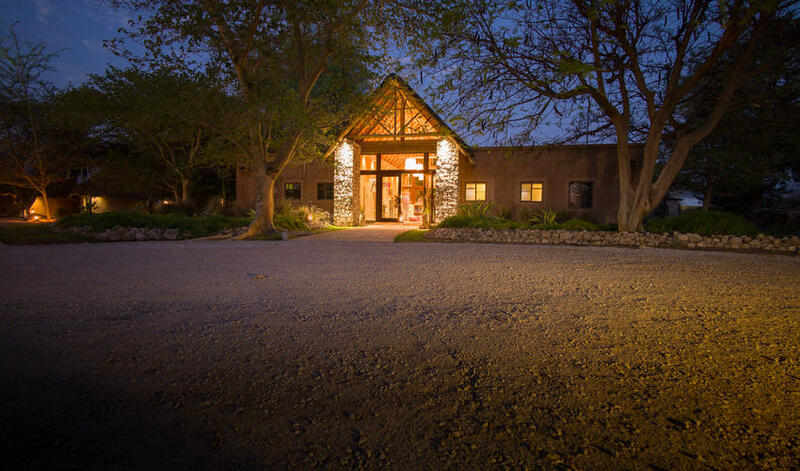 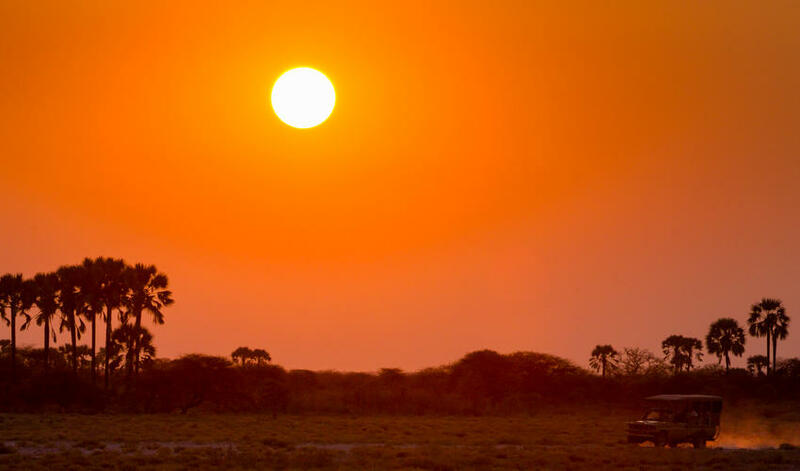 Onguma Bush Camp is surrounded by 34,000 ha of lush wilderness near the Eastern border of Etosha National Park. 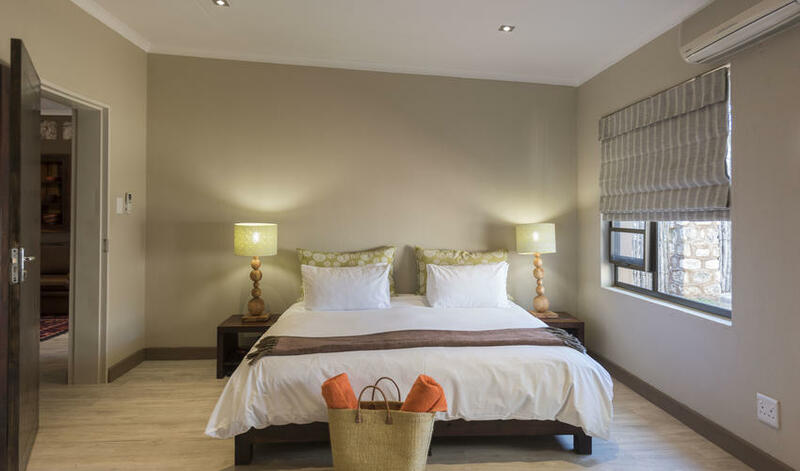 This is a great place for families as 6 out of their 18 rooms are designed specifically with families in mind, including 3 rooms with special lofts for children to sleep in. 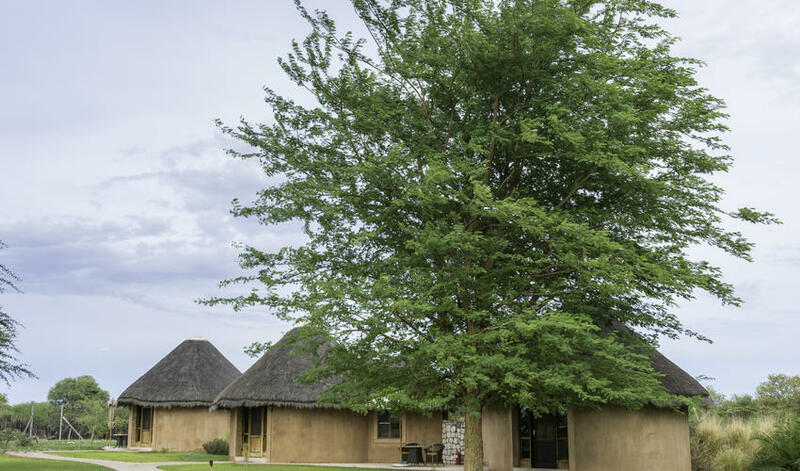 In fact, it’s the only Onguma property that allows kids, and the camp is enclosed so they have the freedom to run around. 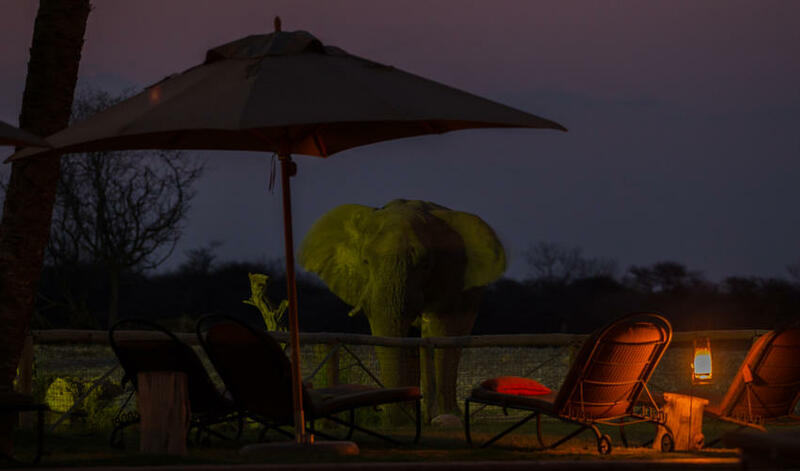 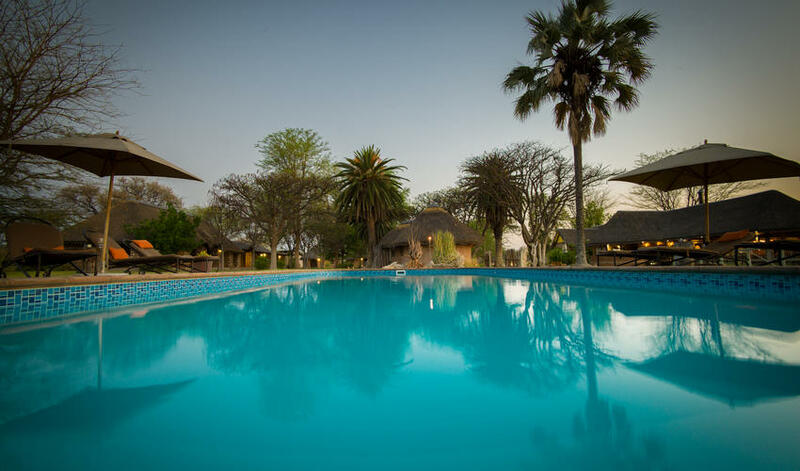 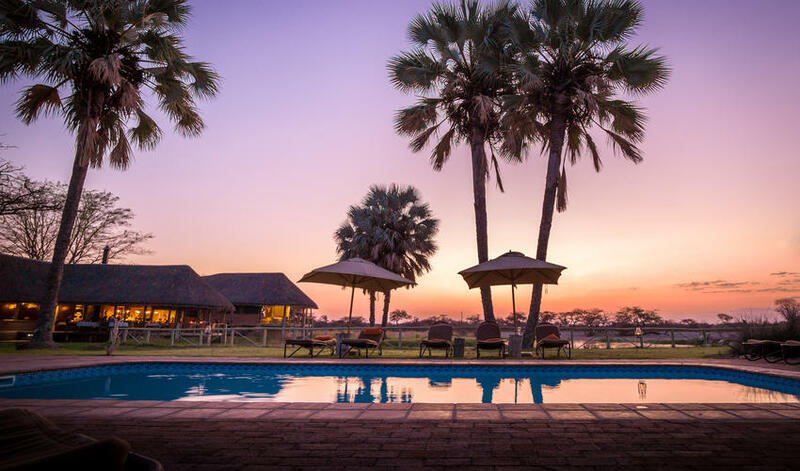 At the end of the day you can relax in the pool or sit in the lounge and watch animals come to drink at the secluded waterhole below. 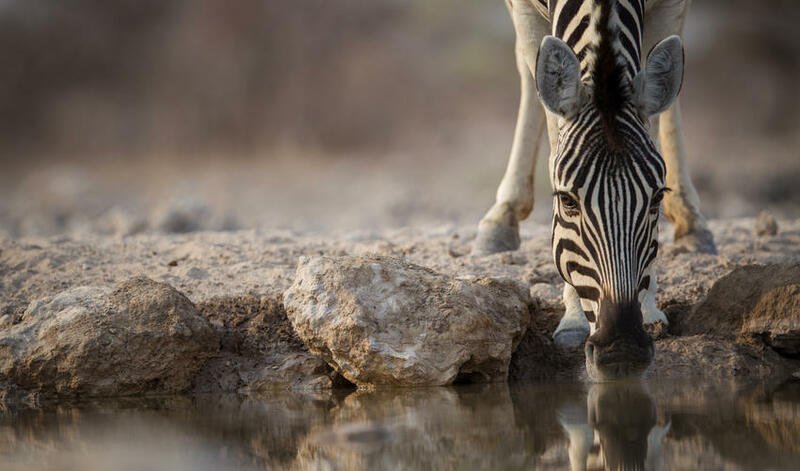 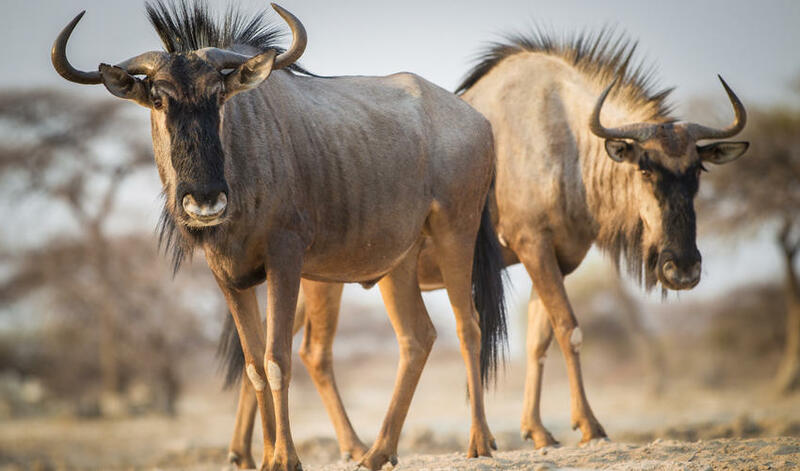 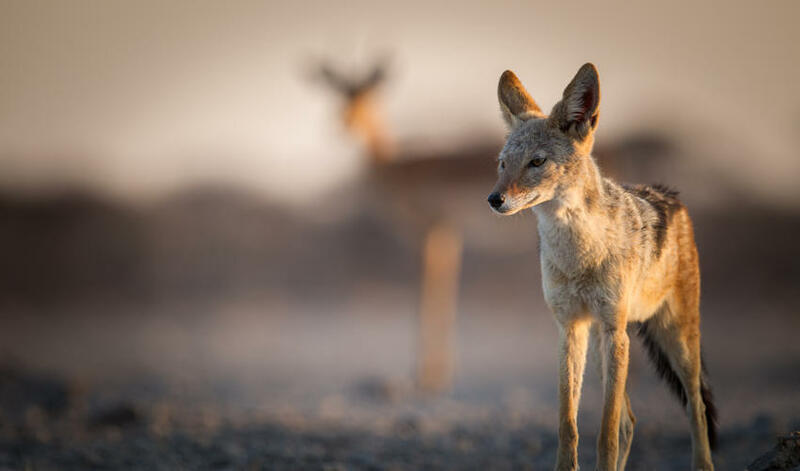 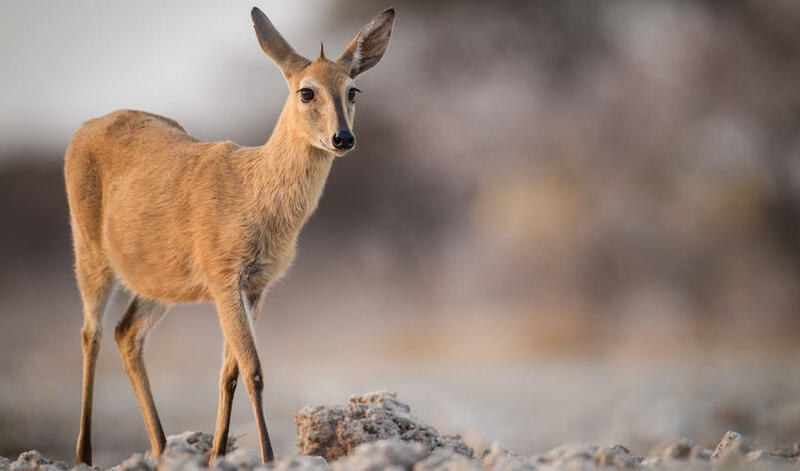 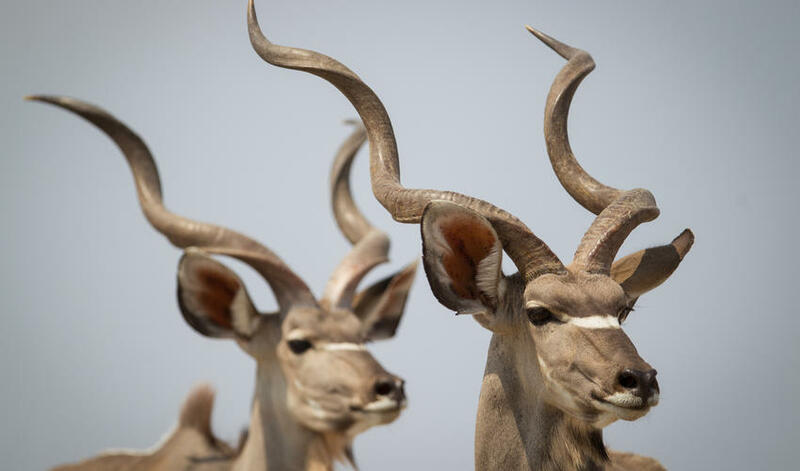 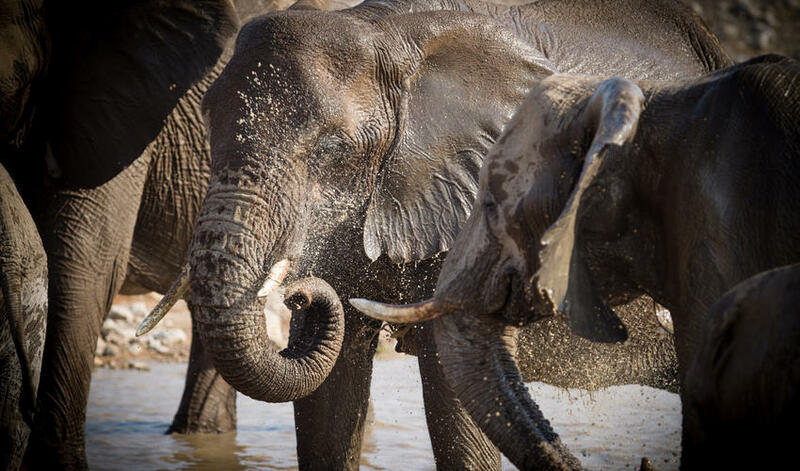 Day and night game drives, bush walks in the private concession, afternoon rhino tracking, rhino research drives, and trips to Etosha can all be arranged. 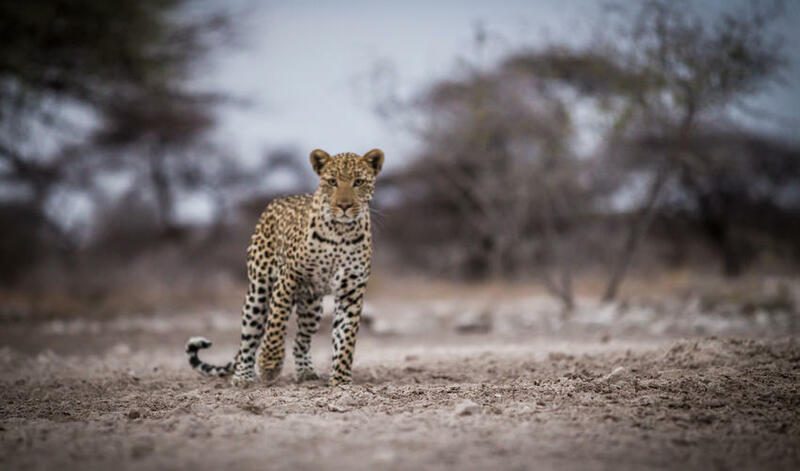 Onguma concession has good game viewing with frequent lion and leopard spottings. 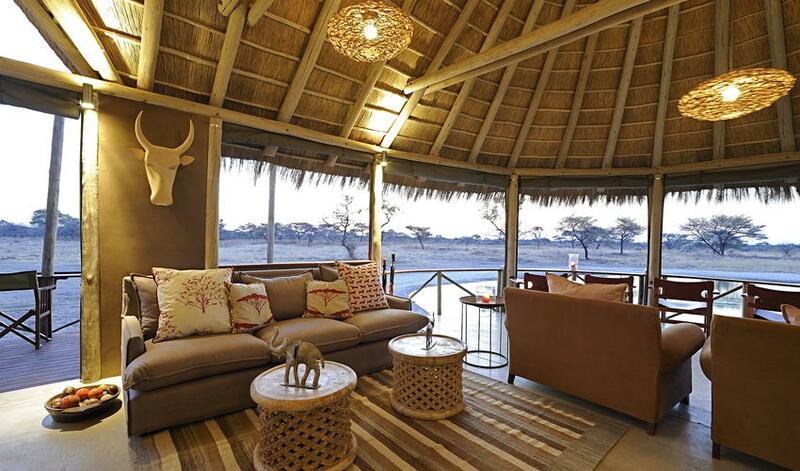 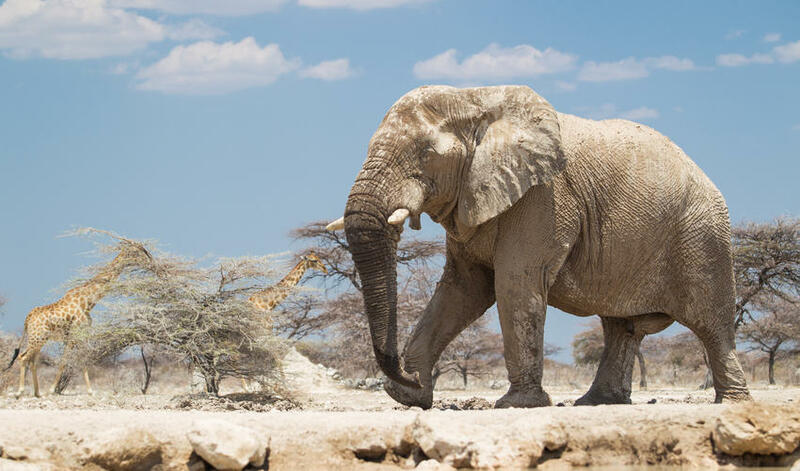 We think the game viewing in Onguma is far superior than in the Mushara concession. 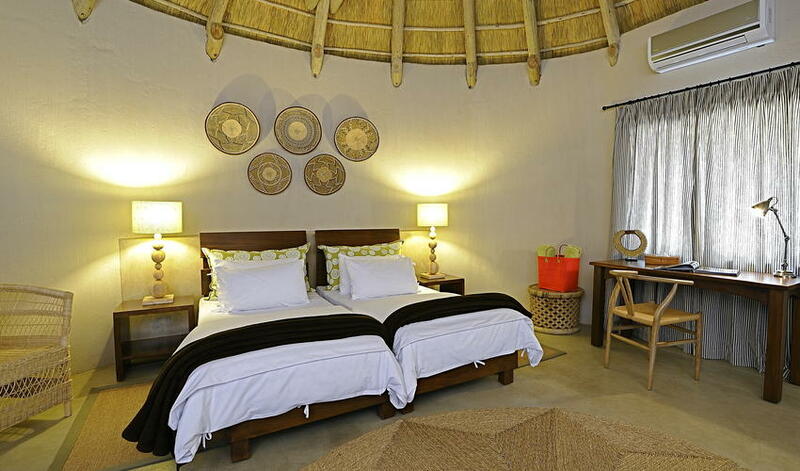 The camp can be accessed by the nearby Mokuti airstrip which is convenient if you’re flying rather than driving. 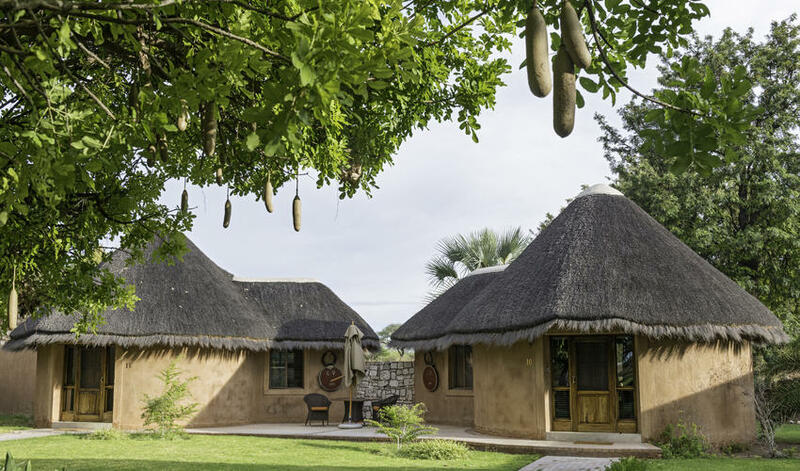 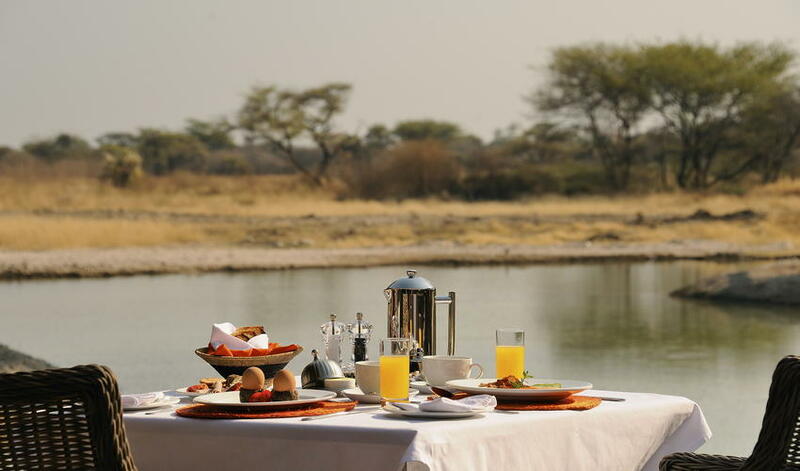 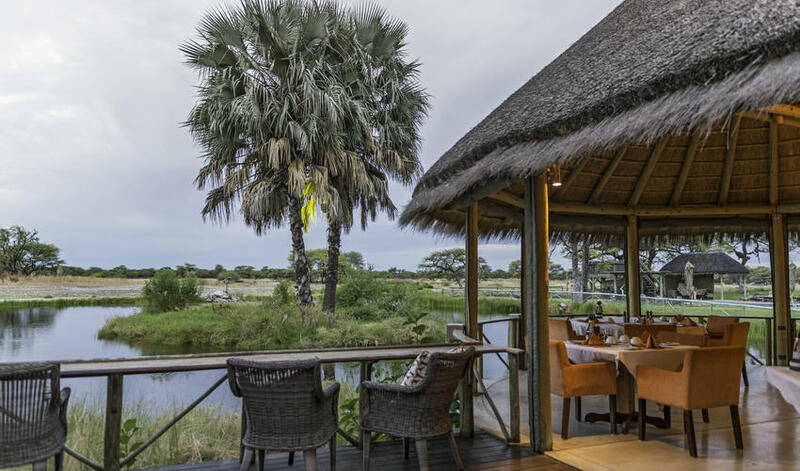 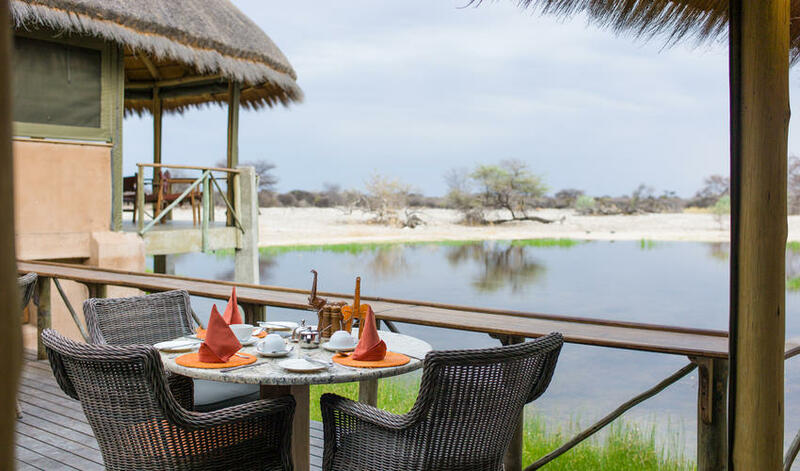 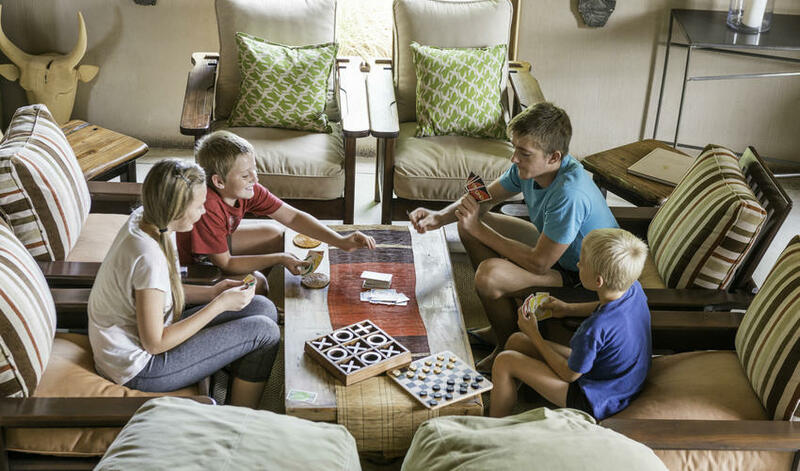 We think Onguma Bush Camp’s excellent staff, food, classy décor, good game activities, and beautiful views make this a great choice for those on a medium budget.